Got an iPhone 8 with a faulty logic board? Breathe easy, because Apple is going to fix up your phone for free – it says a "very small percentage" of handsets have developed problems, and has opened up an official replacement program to get them all fixed. 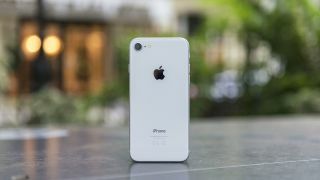 Eligible devices would have been bought between September 2017 and March 2018, Apple says – that's the first six months that the phone was on sale after launch. The issue apparently doesn't effect the other handsets Apple unveiled in September 2017, namely the iPhone 8 Plus and the iPhone X. We haven't seen any reports of logic boards failing on iPhone 8 handsets, so it seems Apple's assessment of how widespread this is is accurate. If you own an iPhone 8, chances are it's not going to suddenly develop a fault on you. Even if we are talking about a few isolated incidents, Apple won't be best pleased at having to implement another repair program. The company has already introduced programs for MacBook Pro batteries and MacBook Pro keyboards earlier this year. "Affected devices may experience unexpected restarts, a frozen screen, or won't turn on," Apple explains in its official blurb, but customers in certain countries can rest easy: "Affected units were sold between September 2017 and March 2018 in Australia, China, Hong Kong, India, Japan, Macau, New Zealand, and the US." You can enter your phone's serial number on the program website to check if your device is affected, even if it hasn't developed a fault yet. After that it's a question of checking in at an Apple Store or an approved retailer to get your free handset repair.